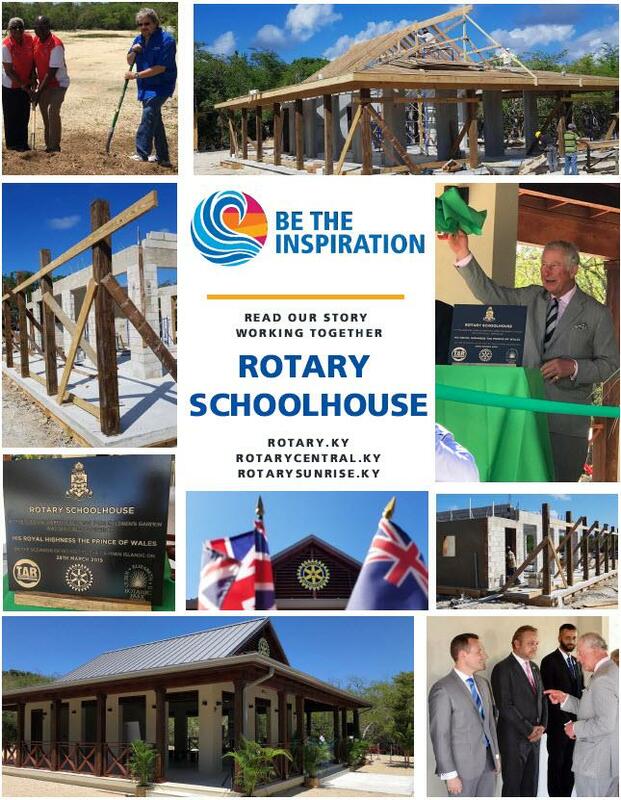 We are delighted that Prince Charles officially opened the Rotary Schoolhouse at the Queen Elizabeth II Botanic Garden last week. As you are aware this was a two year effort across IPP Justin Bodden's year as President through to completion this year. The project was completed as a team effort with our sister clubs Rotary Central and Rotary Sunrise. IPP Justin, Club Secretary Jennifer, John Doak (who designed the Schoolhouse) and myself all proudly represented our Club at the opening ceremony and it was an honour to do so.